Beckett has served as the Creative Director at Minor Design Group since 1987. The firm remains committed to the community. The client base includes a wide array of corporate and cultural institutions including museums, theatre and arts organizations; educational institutions and libraries; Fortune 500 companies and startup ventures, the architectural community; and public space environments. Beckett has received numerous design awards from AIGA, HOW, New York Type Director’s Club, Print, UCDA, STA 100, ADCH, and Texas Association of Museums. As an educator, Beckett presented design pedagogy at AIGA Schools of Thoughts I and 2 in L.A. and Intent/Content in Nashville. Writings on design education appear in Design Education In Progress: Process And Methodology, published and distributed by the VCU Center For Design Studies; Teaching Graphic Design: Course Offerings and Class Projects from the Leading Undergraduate and Graduate Programs, edited by Steven Heller, and the Academic Exchange Quarterly. Beckett served on the board of the Texas Chapter of the AIGA between 1990–1995 and on the founding board of AIGA Houston where she served as education chair from 1997–2001. Beckett has been co-honored as AIGA Houston’s first Fellow in 2007. After completing a degree in painting from the University of Texas at Austin, Beckham Dossett returned to the university to study design. Afterward she earned an MFA in Design from Cranbrook Academy of Art. In 2000 she founded Small Project Office, a studio focused on working with arts and educational organizations. Her clients have included the contemporary art quarterly Art Lies, Station Museum of Contemporary Art, artists Mel Chin and Delilah Montoya, and The International Graphic Arts Education Association. Hagmann founded her Houston based design studio Kontour in 2000. She works for clients such as the CORE Program of the Museum of Fine Arts, Houston; The Menil Collection, Houston; Dallas Museum of Art and Rice University, among others. She completed the typeface family Cholla originally commissioned by Art Center College of Design, subsequently released by the digital type foundry Emigre. 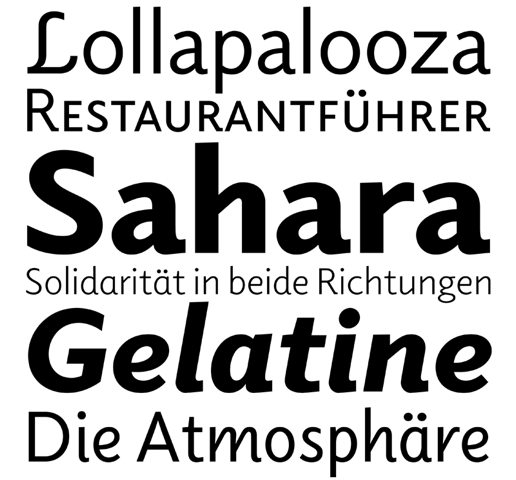 Her typeface family Odile was awarded the Swiss Federal Design Award in 2006. She lectures nationally and internationally, and her work has been published extensively and recognized by the Type Directors Club of New York and Japan. McGettigan is partner with Alan Krathaus in CORE Design Studio. Her work and research interests reside in typography and language in the form of environmental and exhibition narratives, interpretive graphics, public art and placemaking. Her studio focus is in branding, environmental and exhibition design, public art projects and commissions of print, and digital media design with a client base of cultural, educational, non-profit organizations and urban planning groups. Her design work is visible in many of the regions larger cultural institutions, parks and urban spaces. She has received grants for public art and exhibition commissions from Houston Arts Alliance, The City of Houston, Metro, Houston First and the City of Laredo. Her work has been represented in Communication Arts, International Design Magazine, and Cite. McGettigan served on the board of the Texas Chapter of AIGA, and AIGA Houston.